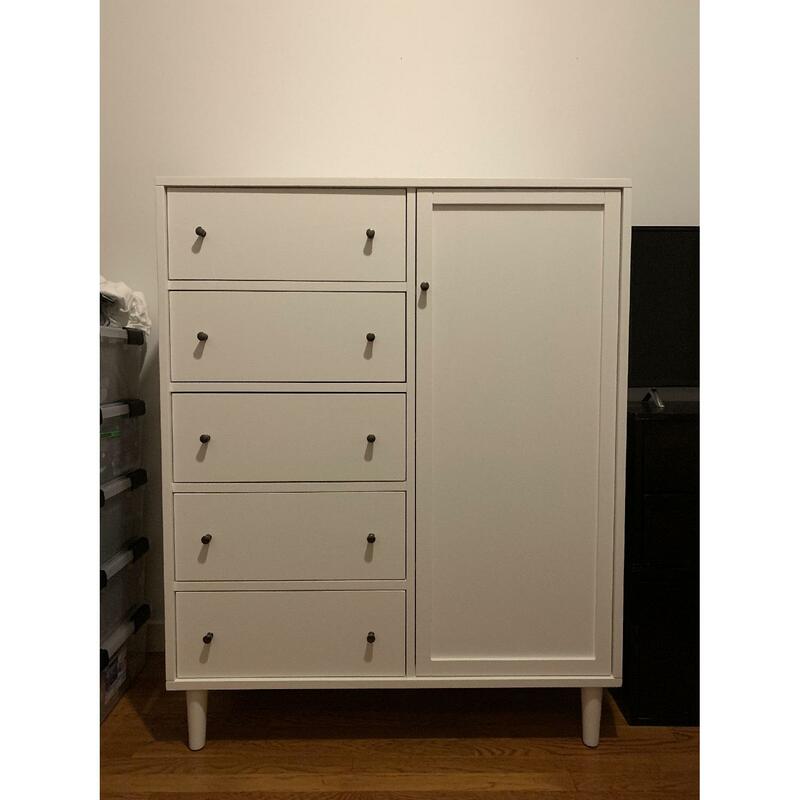 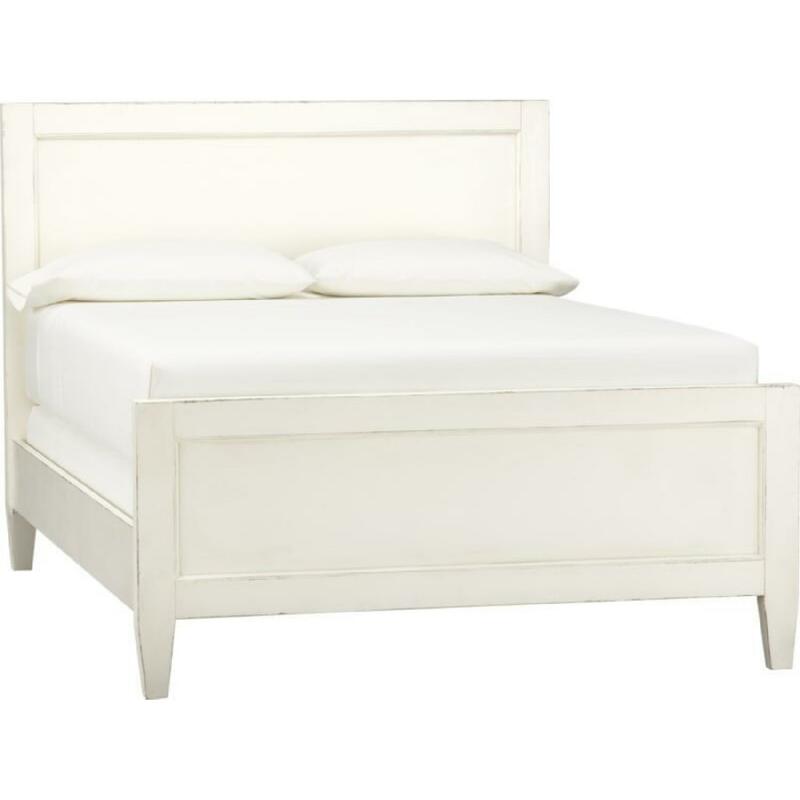 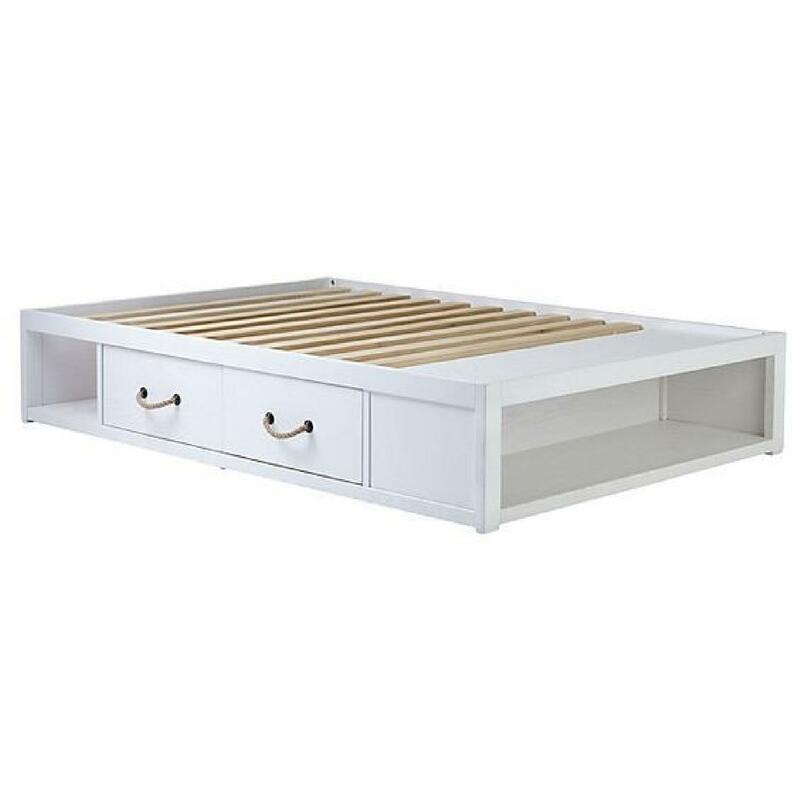 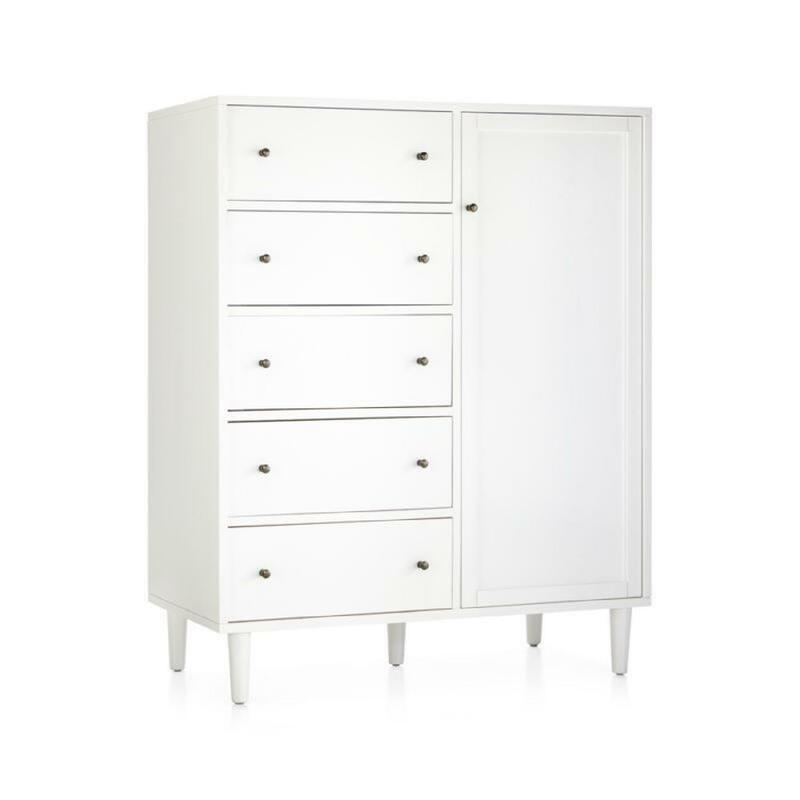 For sale is a Crate & Barrel solid wood Barnes Wardrobe in white. 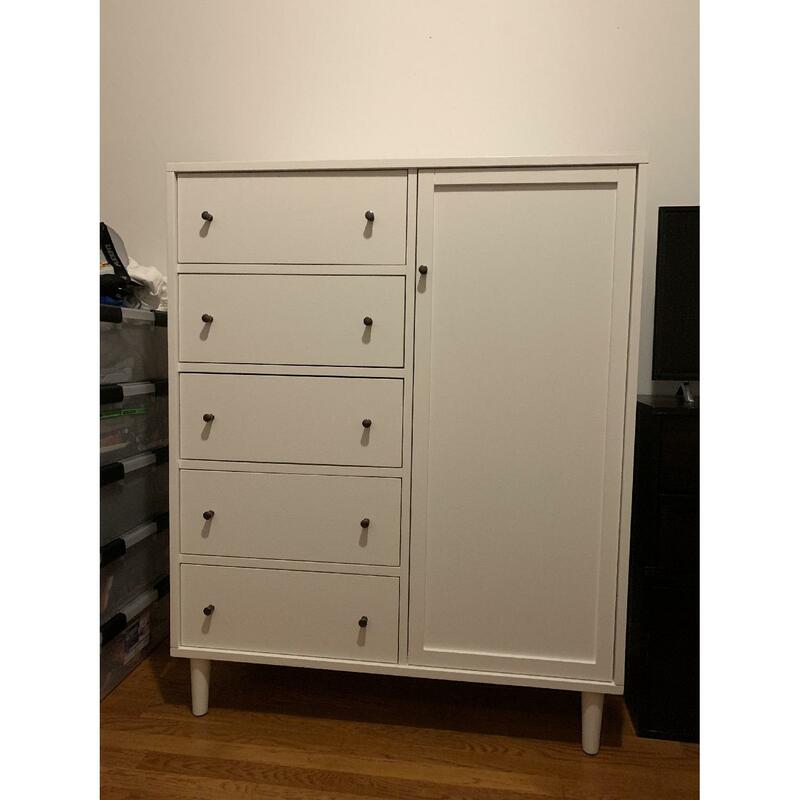 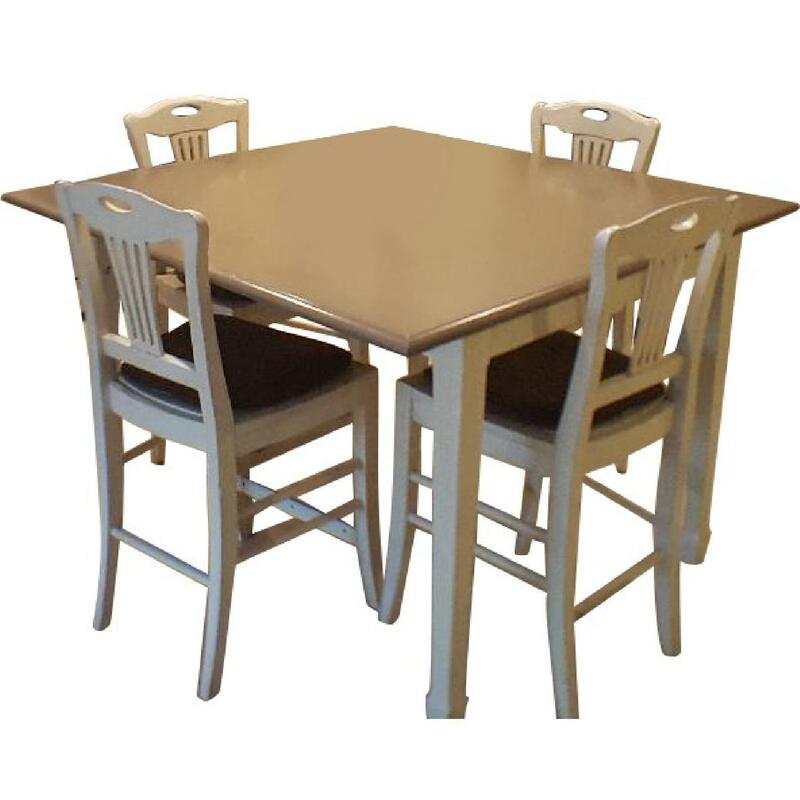 The item was purchased a year ago and is in like new/excellent condition. 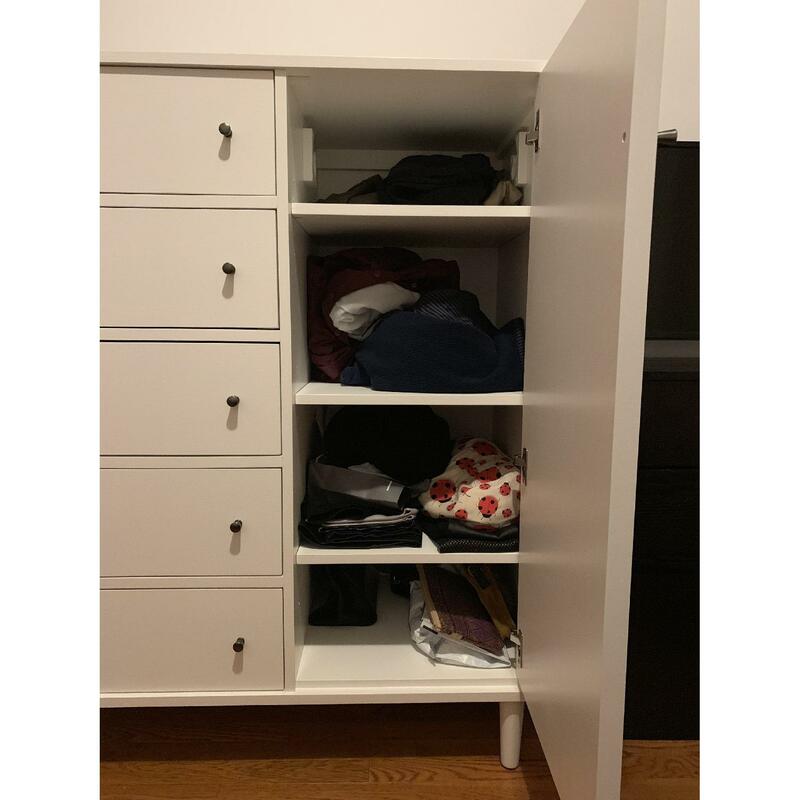 The wardrobe has 5 drawers on the left side and 3 adjustable shelves on the right side with the possibility to transform for shelving area with a hanging rod. 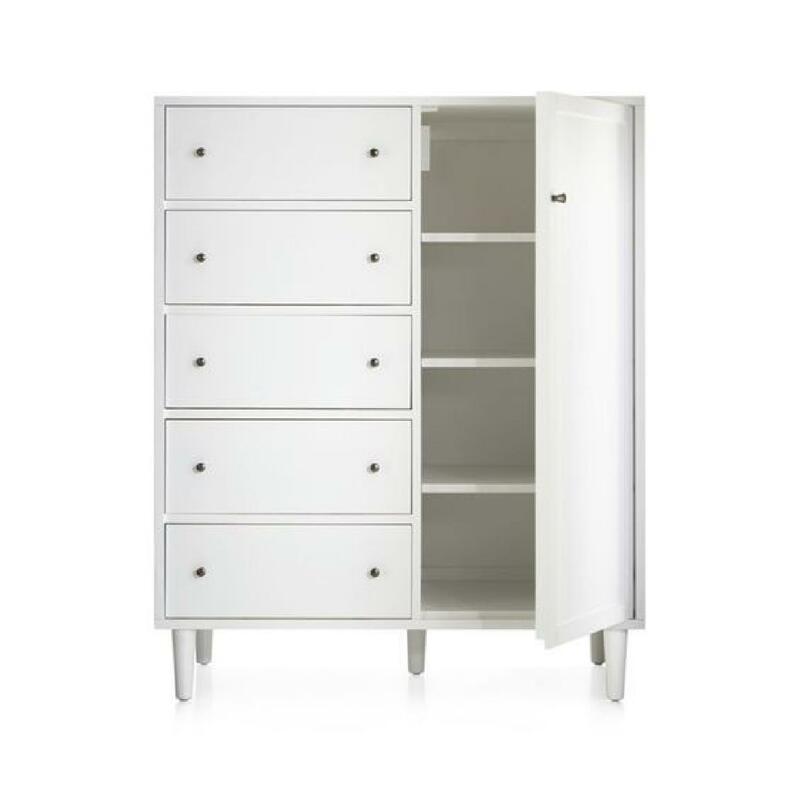 I am selling it as it does not fit in my new place.